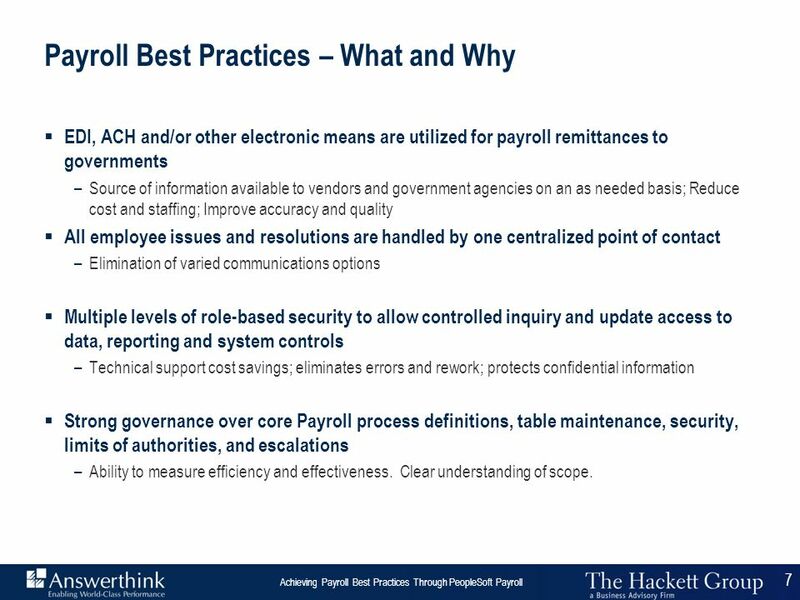 EDI, ACH and/or other electronic means are utilized for payroll remittances to governments Source of information available to vendors and government agencies on an as needed basis; Reduce cost and staffing; Improve accuracy and quality All employee issues and resolutions are handled by one centralized point of contact Elimination of varied communications options Multiple levels of role-based security to allow controlled inquiry and update access to data, reporting and system controls Technical support cost savings; eliminates errors and rework; protects confidential information Strong governance over core Payroll process definitions, table maintenance, security, limits of authorities, and escalations Ability to measure efficiency and effectiveness. 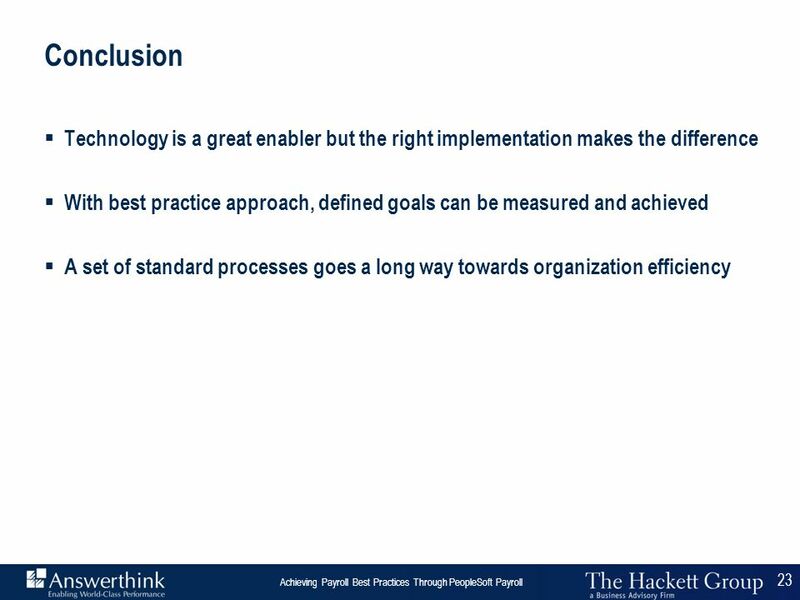 Clear understanding of scope. 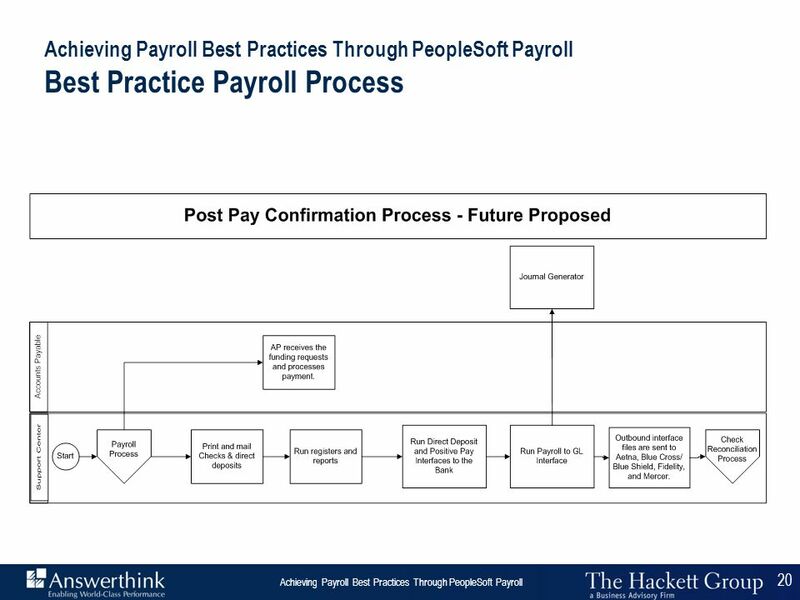 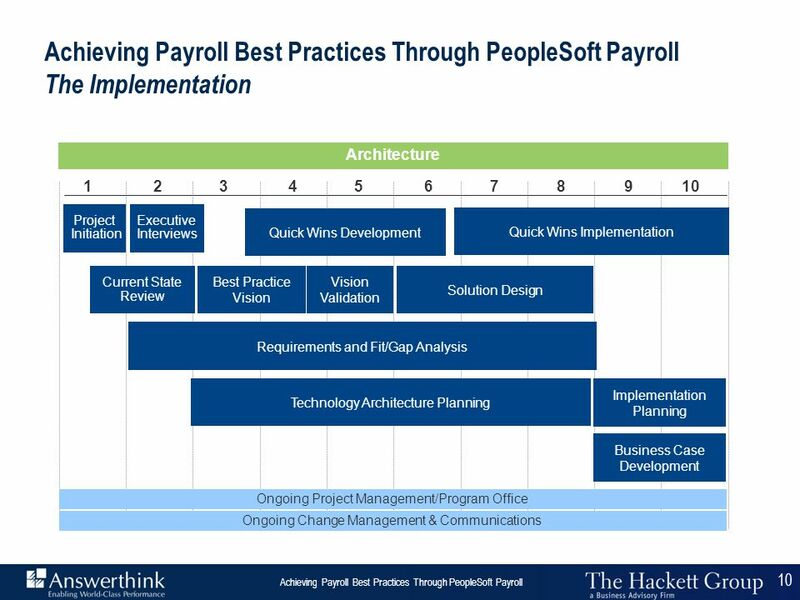 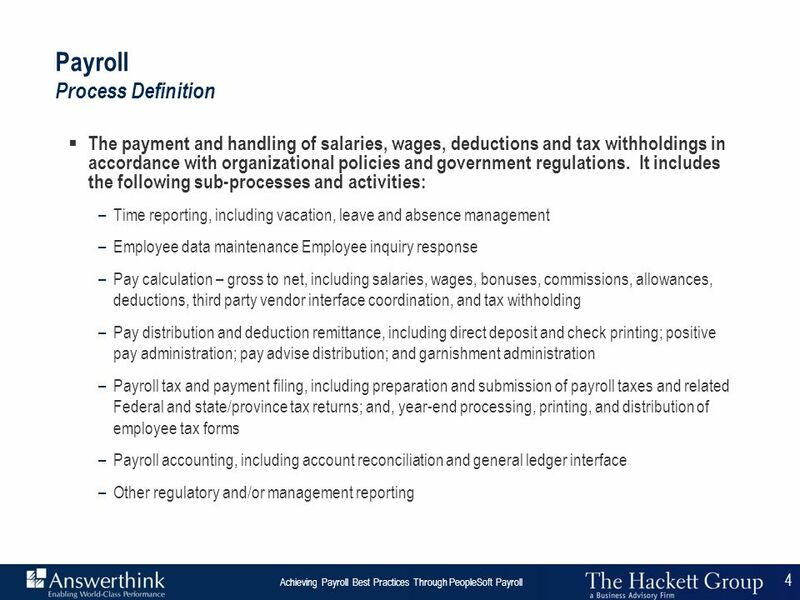 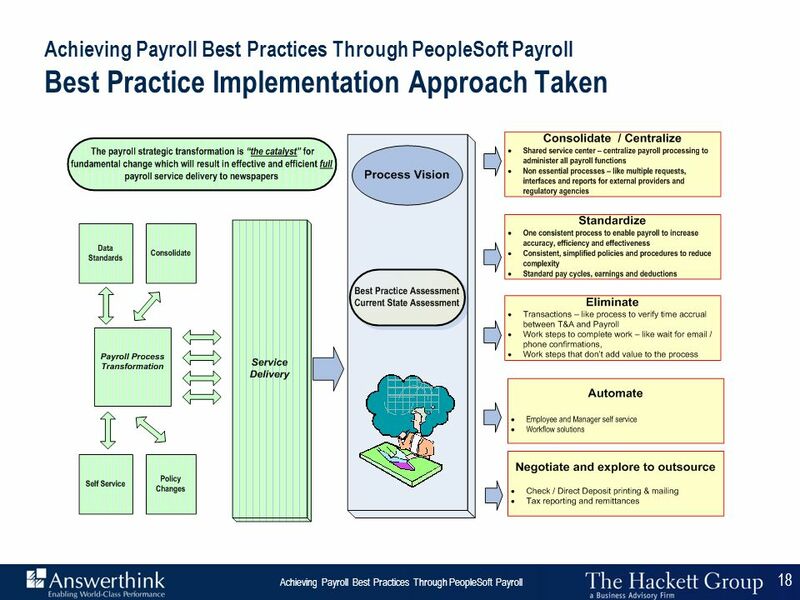 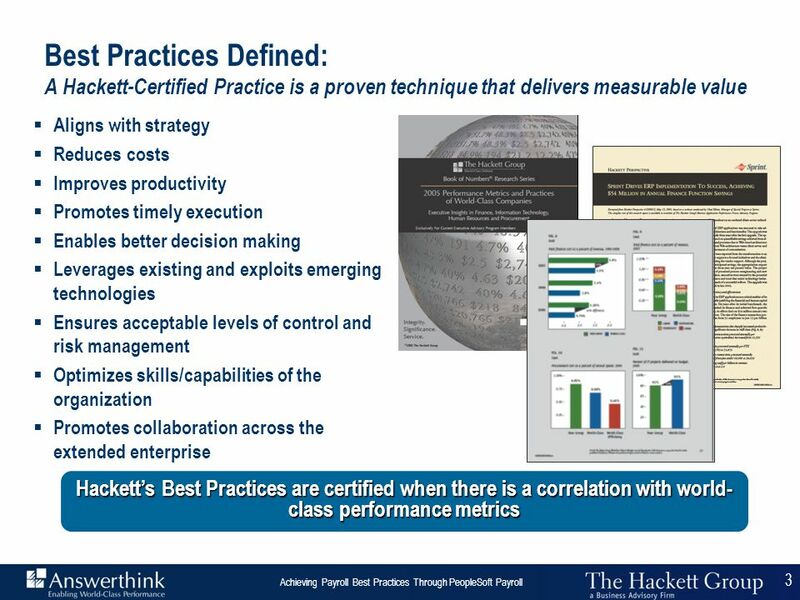 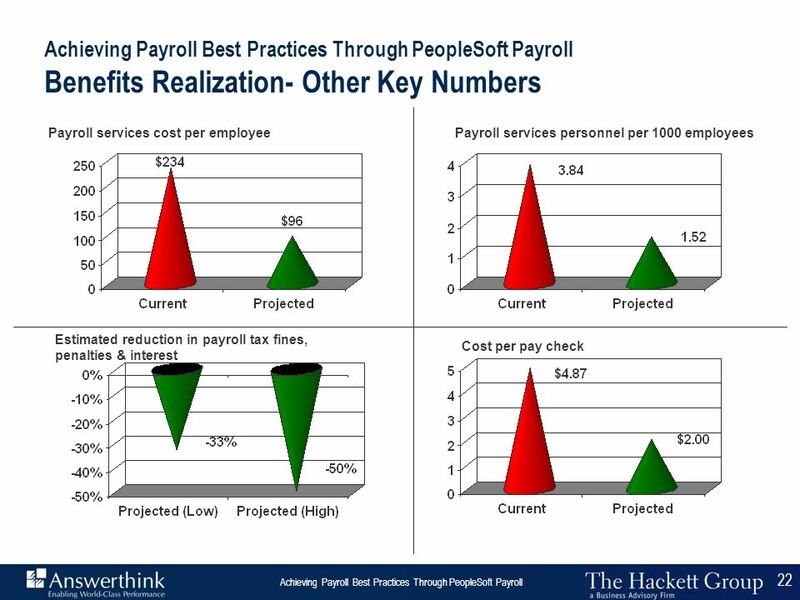 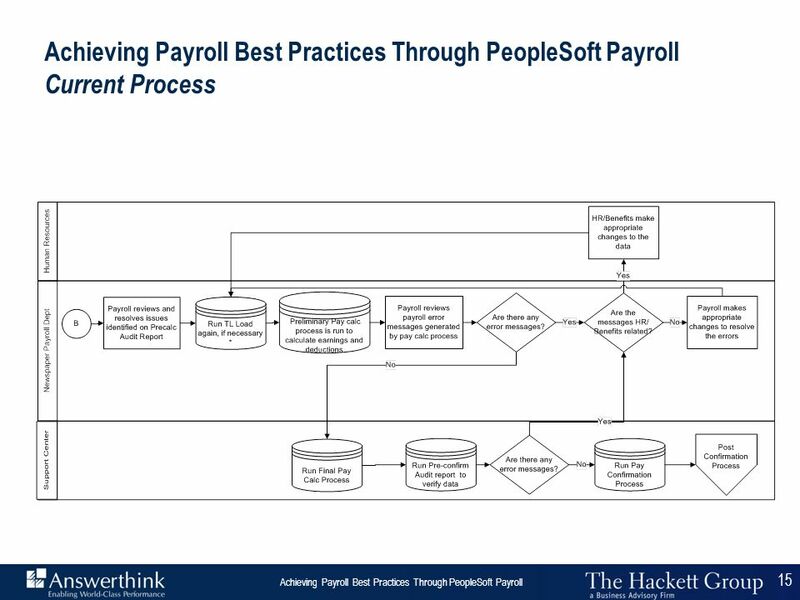 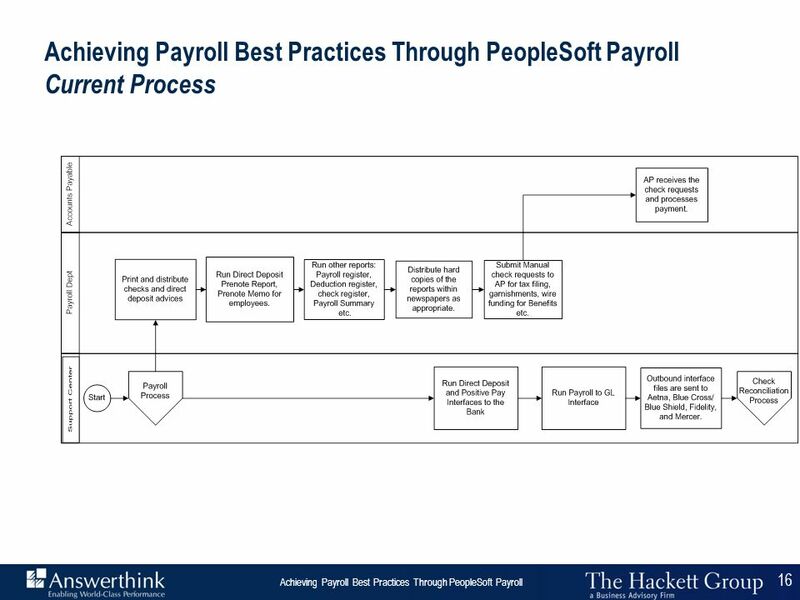 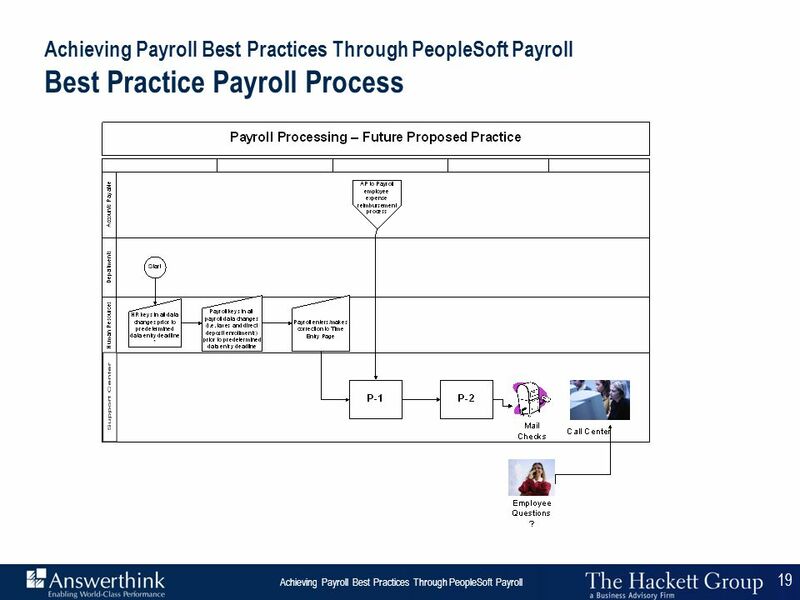 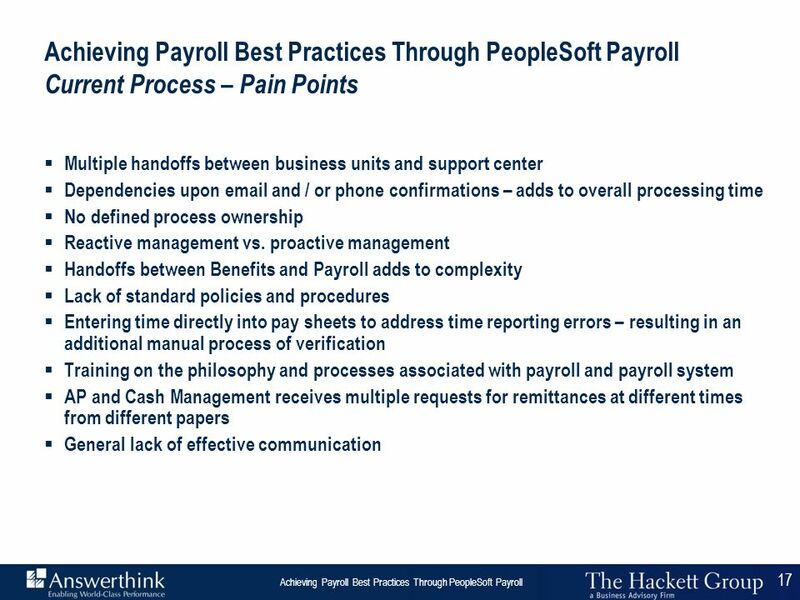 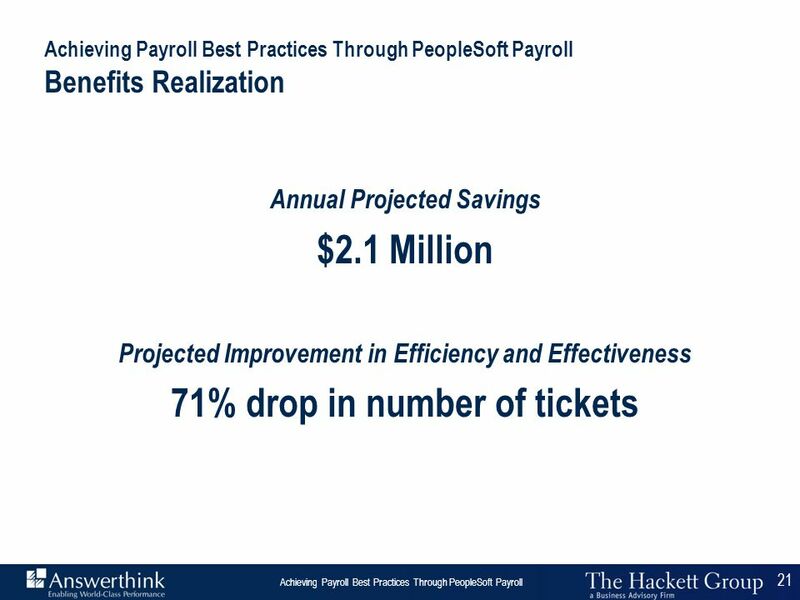 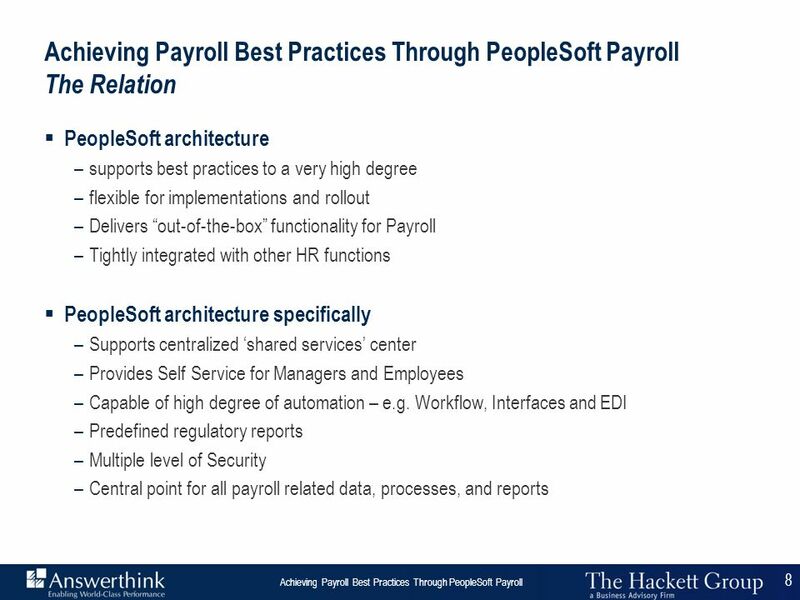 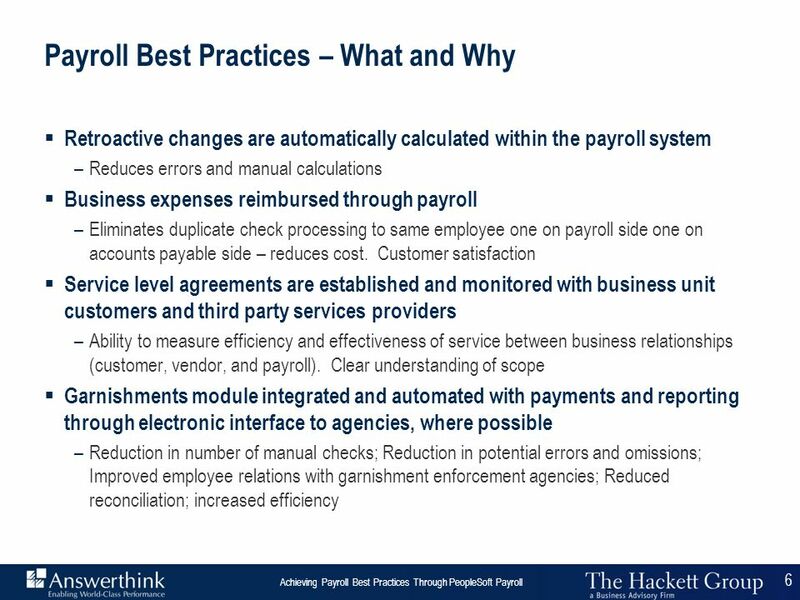 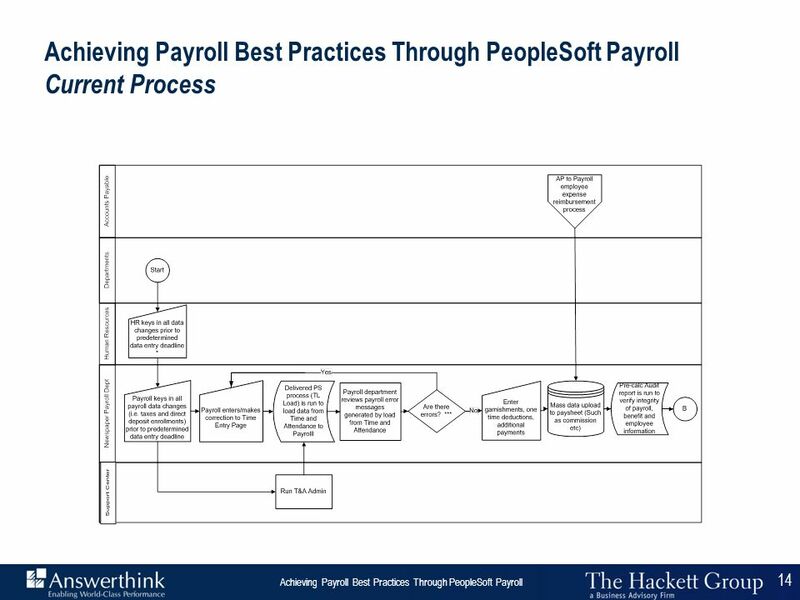 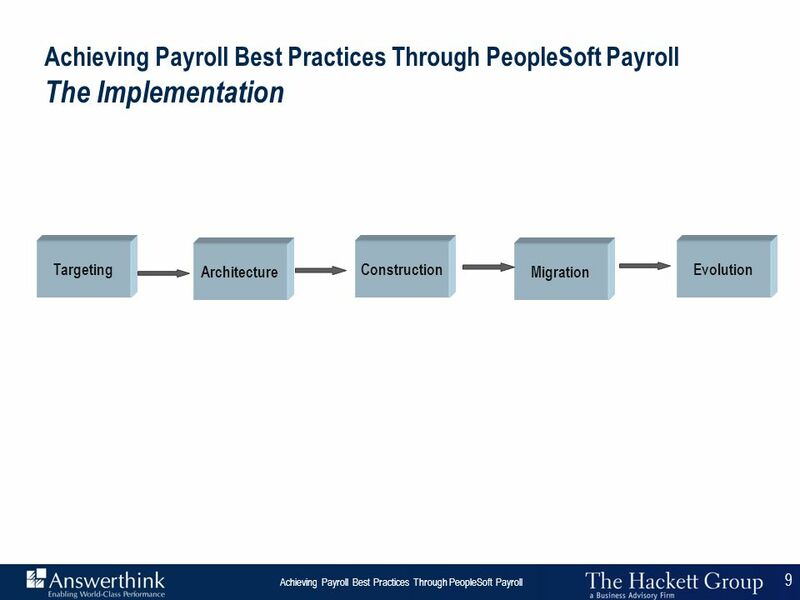 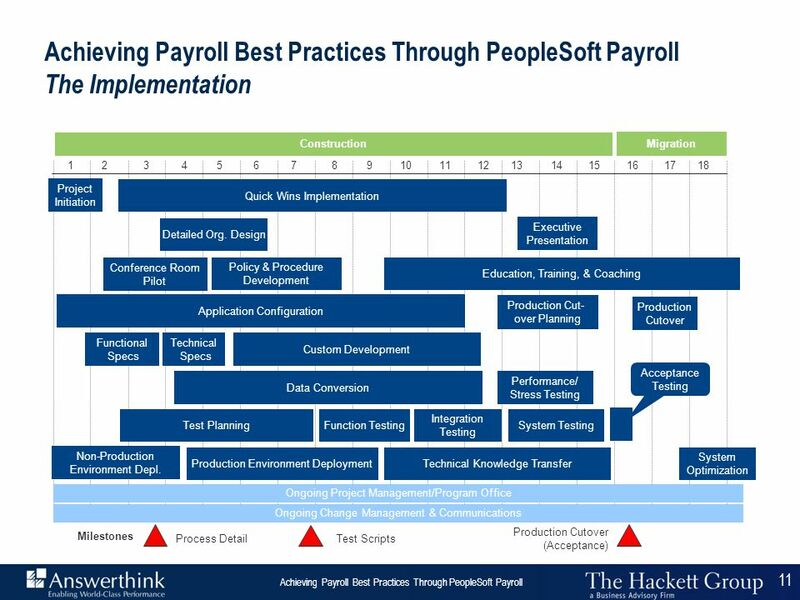 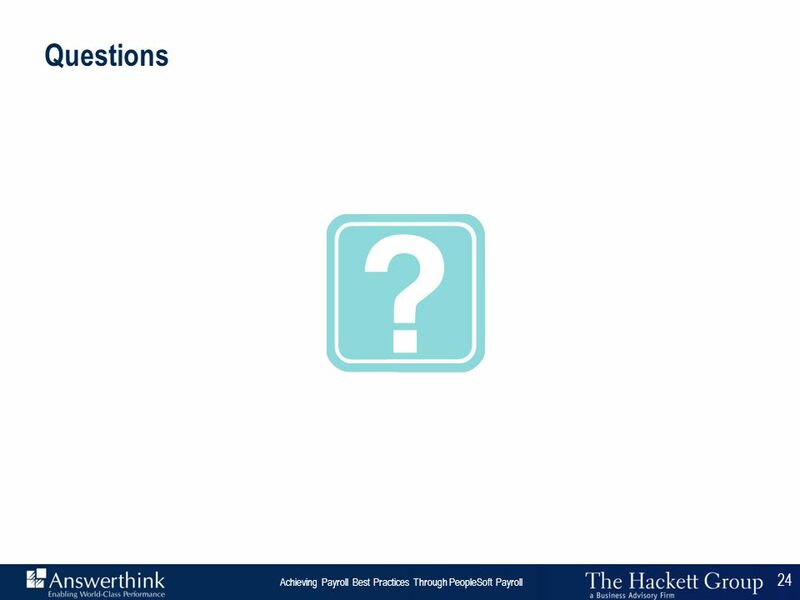 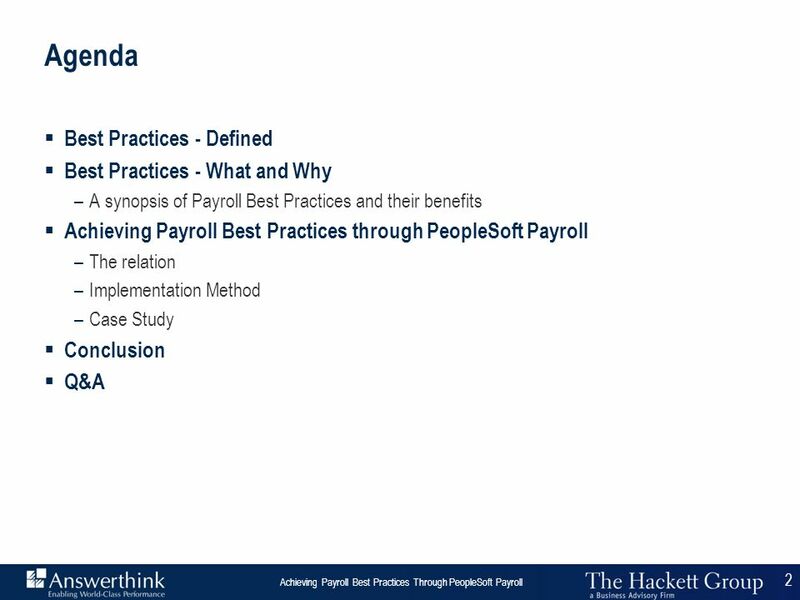 Download ppt "Achieving Payroll Best Practices Through PeopleSoft Payroll"
04/16/ Time & Expense Project State of Michigan Time & Expense Project NASC/NSAA Middle Management Conference April 16, 2008.